Sorry this post is a little late! Life has somehow got in the way. Something a little different this week. 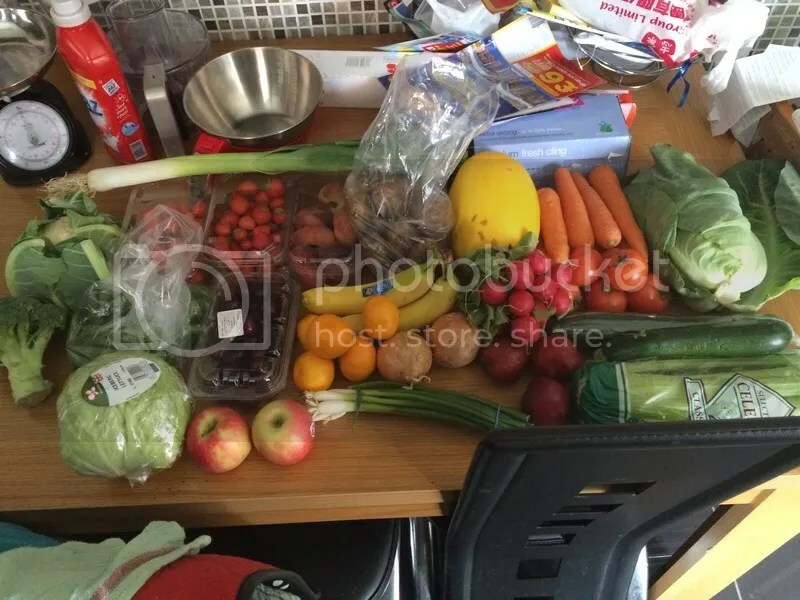 I went to Tesco for my food shop as there were some Tesco-only bits I wanted to get and I decided to order a fruit and veg box from Brown’s the Greengrocer who a lot of people local to me have been raving about. I have to admit the stuff I got was really fresh and good quality (although slightly different from what I anticipated) and there was so much of it! 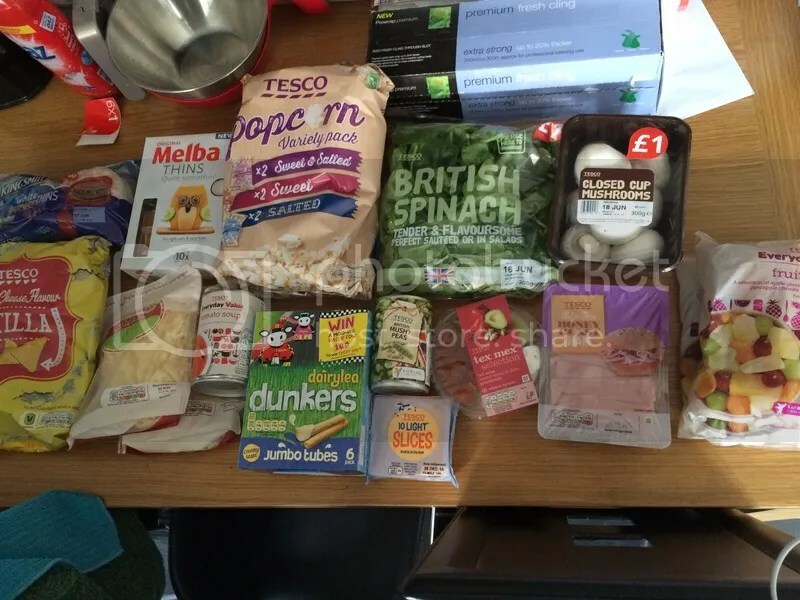 Tesco: Kingmill burger thins, Tesco tortilla chips, melba thins, 50% less fat grated cheddar, Tesco tomato soup, variety popcorn, dairylea dunkers jumbo tubes, light cheese slices, mushy peas, tex mex dip, spinach, mushrooms, honey roast wafer ham and frozen fruit salad. I went a little over my budget due to the “treats” I saw in Tescos and a random hankering for nachos and dip (should have eaten before I went! ).